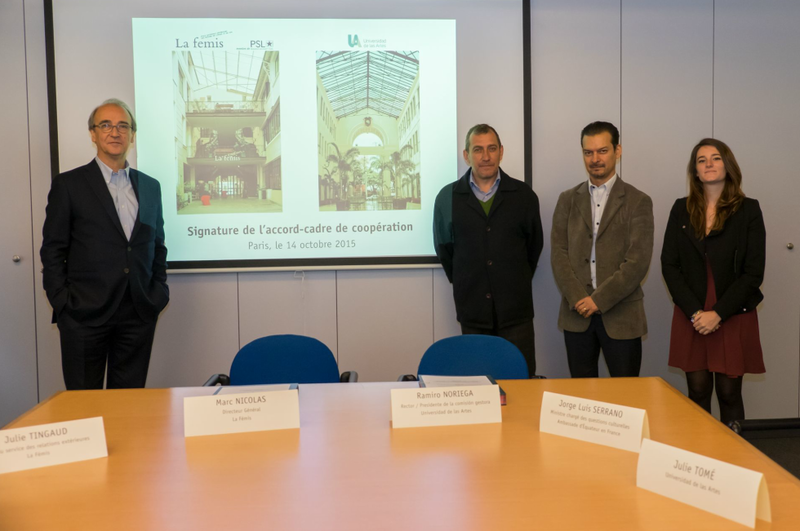 Marc NICOLAS, Director general of La Fémis and Ramiro NOREIGA, President of UniArtes signed a cooperation agreement the 14th of October 2015 in Paris. This signature is the achievement of two years of relationships and exchanges between these two establishments. 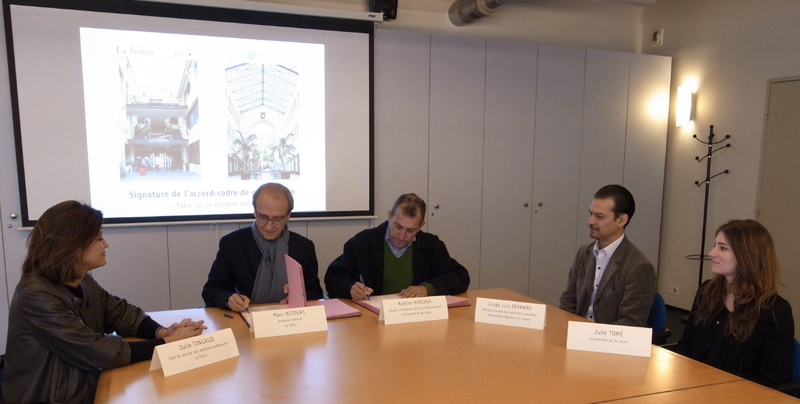 This agreement deals with the pedagogical support of the cinema school of UniArtes by La Fémis as well as other cooperation projects such as organizing training workshops conceived by La Fémis in Ecuador.